The genetic distances among primate lineages estimated from orthologous noncoding nucleotide sequences of β-type globin loci and their flanking and intergenic DNA agree closely with the distances (delta T50H values) estimated by cross hybridization of total genomic single-copy DNAs. These DNA distances and the maximum parsimony tree constructed for the nucleotide sequence orthologues depict a branching pattern of primate lineages that is essentially congruent with the picture from phylogenetic analyses of morphological characters. The molecular evidence, however, resolves ambiguities in the morphological picture and provides an objective view of the cladistic position of humans among the primates. The molecular data group humans with chimpanzees in subtribe Hominina, with gorillas in tribe Hominini, orangutans in subfamily Homininae, gibbons in family Hominidae, Old World monkeys in infraorder Catarrhini, New World monkeys in semisuborder Anthropoidea, tarsiers in suborder Haplorhini, and strepsirhines (lemuriforms and lorisiforms) in order Primates. 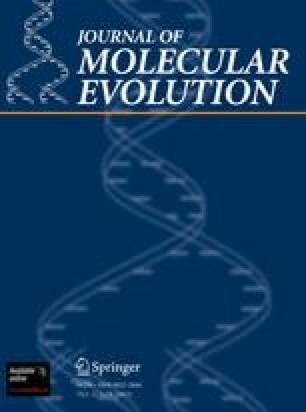 A seeming incongruency between organismal and molecular levels of evolution, namely that morphological evolution appears to have speeded up in higher primates, especially in the lineage to humans, while molecular evolution has slowed down, may have the trivial explanation that relatively small genetic changes may sometimes result in marked phenotypic changes.